Adventures With Toddlers and Preschoolers: Time For A Mommy Giveaway! Time For A Mommy Giveaway! Welcome to the Smile Brilliant Ventures LED Teeth Whitening Giveaway hosted by The Parenting Patch and sponsored by Smile Brilliant Ventures. The LED teeth whitening system by Smile Brilliant is perfect for individuals who want great tooth whitening results but are on a budget. 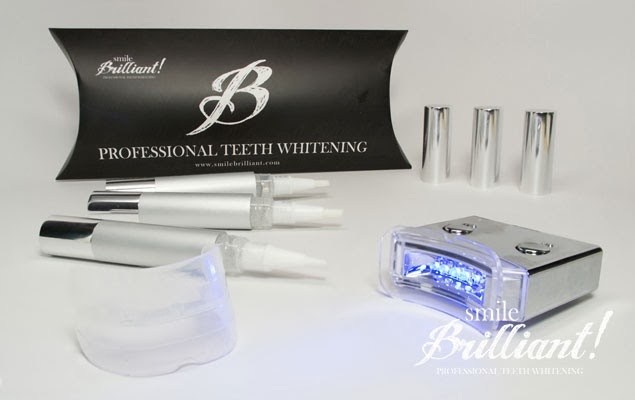 Competitively priced when compared to popular whitening strips sold at local stores, the Smile Brilliant LED teeth whitening system is far more effective due to a 22% carbamide peroxide tooth whitening gel and a high strength LED light, which accelerates the whitening process. The Smile Brilliant LED teeth whitening package comes complete with a four-milliliter 22% carbamide peroxide teeth whitening gel pen, a high intensity LED accelerator light, lip and cheek protectors, and a detailed instruction manual. Smile Brilliant offers a 30-day satisfaction guarantee. For more information about the LED teeth whitening system, visit the Smile Brilliant website. The Smile Brilliant Ventures LED Teeth Whitening Giveaway is restricted to legal residents of the United States of America, Canada, and the United Kingdom. The Smile Brilliant Ventures LED Teeth Whitening Giveaway ends at midnight CST on March 16, 2014. One winner will be chosen at random via Rafflecopter. The winner will be sent an email and will have forty-eight hours to respond. If no response is received within forty-eight hours, another winner will be chosen. The Parenting Patch and Disney With Babies Toddlers & Preschoolers are not responsible for prize fulfillment. What Is Fast Pass Plus? !